At first glance perhaps the most remarkable quality of Saint Lawrence of Brindisi is his outstanding gift of languages. In addition to a thorough knowledge of his native Italian, he had complete reading and speaking ability in Latin, Hebrew, Greek, German, Bohemian, Spanish and French. St. Lawrence must have indeed been a great man. But to us the youth of today, how is his life an example? @Edward — you cannot be serious! Tongue-in-cheek, right? Otherwise you might want to actually read the article and find words like “early death of parents”. (He could have used it as an excuse to “hate” God.) Or, “with his facility for languages”. (We all have particular gifts God wants us to use for His greater honor and glory. Have you found yours?) And, “sensitivity to the needs of people…”. (I guess you can fill that one in.) Maybe you’re not “brilliant… or have admins. skills” but you have what God gave you. And God wants you to use it for his greater honor and glory and your salvation. Awesome response to Edward and all of us,young and old who wonder what is our purpose on earth. Thank you. Work hard, study, be kind to others. Do your part and pray asking God to help you be the man he would have you be. Following His path for your life will lead to fulfillment and happiness. Saint Lawrence of Brindisi, pray for us! St. Lawrence of Brindisi, please pray for and intercede with Our Lord to send his Holy Spirit to help my younger daughter lose her bad habits, figure out responsible living, and use her numerous intellectual gifts to help those less fortunate than herself. Thank you in advance for this hoped for favor. 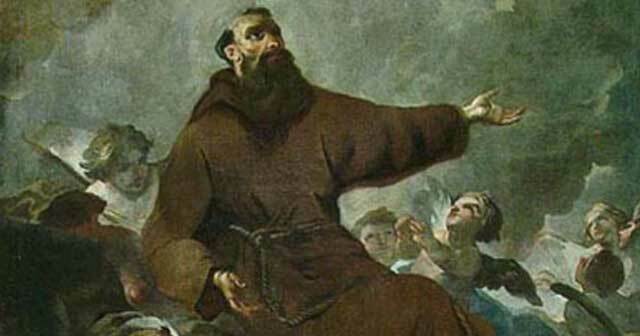 St. Lawrence, pray for the Capuchin Franciscan Order. Oh Lord open my eyes and ears so I may hear your words and to be a faithful servant..